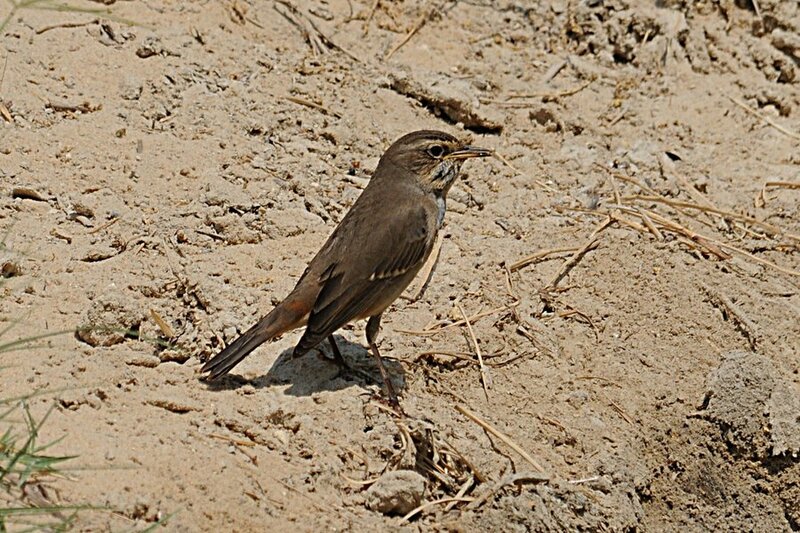 Yesterday in the drainage channel at the bck of our house I saw a first year Bluethroat feeding in the cover at the edge. It was the first returning bird I have seen in Dhahran this autumn but I saw two last weekend at Jubail. They are quite regular visitors in Dhahran with a few spending the winter here, mainly at the percolation pond and surrounding wet areas.